Israel has become used to this over the last year. 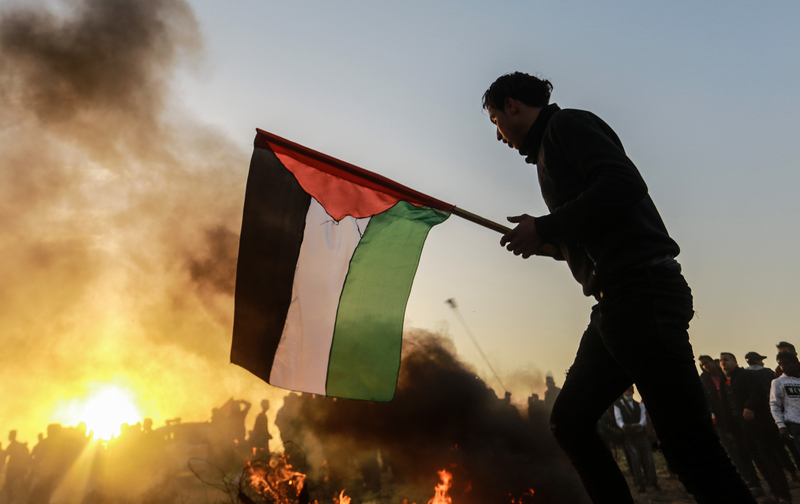 While both Israel and Hamas – the main organizer of the protests – have altered their tactics, Hamas's overall strategy has remained the same: to keep the pressure up, looking to demonstrate its relevance after 12 years of failed rule in Gaza. Israel's strategy is also clear: to stop any protesters or rioters from crossing the border, and to prevent the protests from serving as a cover for laying IEDs or sniper fire, or worse. So far, both Israel and Hamas have been successful in their respective strategies. While Hamas boasted last year that these marches would lead to the "return," and that Palestinians would be celebrating the conquest of Jerusalem, obviously they know this is impossible. Sinwar was still in prison during Israel's unilateral disengagement in 2005, and was repatriated to Gaza six years later as a result of the 2011 Gilad Shalit prisoner exchange. The Gaza he returned to was ringed with walls and fences, and blockaded on the Mediterranean by the Israeli Navy. By 2011, Hamas was equipped with long-range rockets and was building better ones, benefiting from smuggling via Sinai. Sinwar has watched as Israel developed technological responses to the challenge of rockets and attack tunnels. The protests are a low-tech and asymmetric innovation by Hamas to the realization that their technology cannot defeat Israel. Instead, Hamas is promoting the concept of "existing is resisting," and samud, or "steadfastness." That Hamas has been able to sustain the mass protest for a year – initially every Friday and then on Tuesdays and also at night – is a singular accomplishment among Palestinian factions. Yes, the First and Second Intifadas were sustained. But the Gaza protests are unique though they are rarely portrayed as such in the media because Gaza has become less interesting amid the other crises of the region. While the ongoing protests are not a global cause célèbre, it's hard to gauge their importance for ordinary Gazans. Rare is the clan that hasn't suffered a family member killed or wounded, many by live ammunition. While some 260 dead may seem like a relatively small price for a year-long protest, humanitarian medical NGOs working in Gaza have described their difficulty treating the large numbers of the wounded. On the Israeli side, Hamas's relative success can be seen in the burned fields and forests, and the need to constantly close portions of the border area as tensions escalate. The success can also be seen in shifting Jerusalem's attention to the Gaza issue every few weeks when the Israeli government has said it wants to concentrate on the Iranian threat in Syria. This is no small accomplishment. Yet Israel has been smart enough – so far – not to let herself be dragged into a fourth Gaza war. The number of rockets fired from Gaza recently would have resulted in a war years ago. Before 2009 or 2012 or 2014, the trickle of rockets, mortars and other aggression led to conflict. In 2018, Prime Minister Benjamin Netanyahu outmaneuvered his political cohorts to prevent a conflict. That doesn't mean that Israel is losing along the border. In fact, Israel has shown through its constantly evolving military defense technology just how she can outsmart Hamas. Using the latest sensors, electro-optical imaging, drones and an array of other gadgets, Israel uses its lethal precision weapons only as a last resort. Despite the complaints of human rights groups or the United Nations – which might argue that Israel has used excessive force, or that sniper fire should never be used against violent riots – it appears Jerusalem has successfully ridden the learning curve of this conflict. Further north near Kissufim, the same story unfolded. Here too I saw the IDF's significant military presence, and the rings of Border Police vehicles and cordons meant to distance civilians from the border. Iron Dome batteries have also been deployed, and soldiers using Skylark drones were positioning their metal birds in a field. The relative quiet along the border is a testament to the IDF's restraint. But the need to secure the border and the constant alert in border communities is testament to what the Gazans have done.